Only 088 Booking slots left – book now! Commercial recycling in the UK has increased by up to 60% in the last decade. This can be attributed to a multitude of reasons, one of which being the increase in regular waste collection. Public awareness of recycling has also increased, and has led to the UK being on track to meet its target of recycling 50% of waste by the year 2020. Customers are now, more than ever, concerned about companies’ ethical standpoint when it comes to waste management. So it is imperative that companies look at recycling and waste management options in their area. You can become a company that goes green. Simply look at our website, fill out the registration form and one of our helpful representatives will be in touch with you. If you’re a business in Huddersfield that wants to be more environmentally conscious, we can help you. Our services offer regular waste collection and management, and more importantly, recycling management. This will help your business become greener and more efficient. In Huddersfield, there are already waste recycling centres such as Huddersfield Waste Services on Bank End Lane, Kirklees Council Refuse Collection on Vine Street, and Emerald Street Household Waste Services Centre on Emerald Street. But we can help your business by removing the task of managing your recycling and other waste and taking it directly from your business site. Kirklees Council has regularly been shown to have some of the worst recycling figures in the UK. 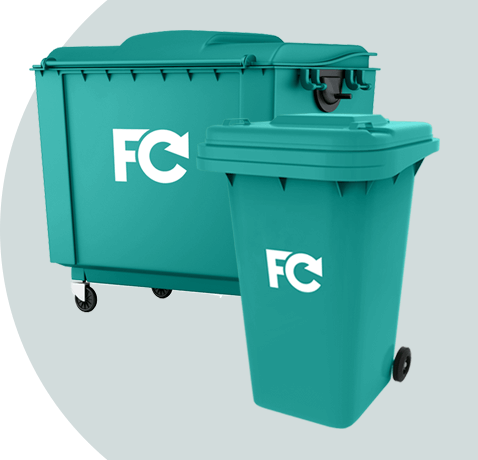 Green bin contamination in the Huddersfield area was shown to be 5 times that of the national average, so there is room for your business to make a difference. This is where we can help. There are almost 14,000 employers employing over 150,000 workers in the Huddersfield area. If you choose to use our services, you could become a company that goes green and helps the local community become more environmentally friendly. Are you a business in Huddersfield that needs help with recycling? 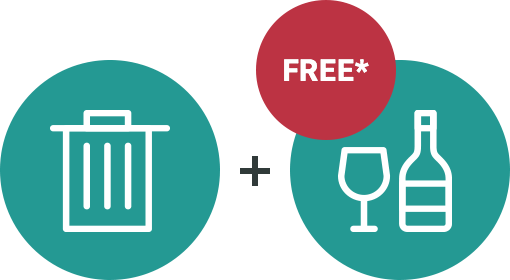 Join our free glass collection waiting list by simply filling out a registration form. You and your business could then benefit from a leading service that helps you become greener and more responsible. This service has been developed to help reduce the amount of glass that goes to landfill, recycling it instead. So simply fill out a registration form and we will be in touch to help with your waste management needs.